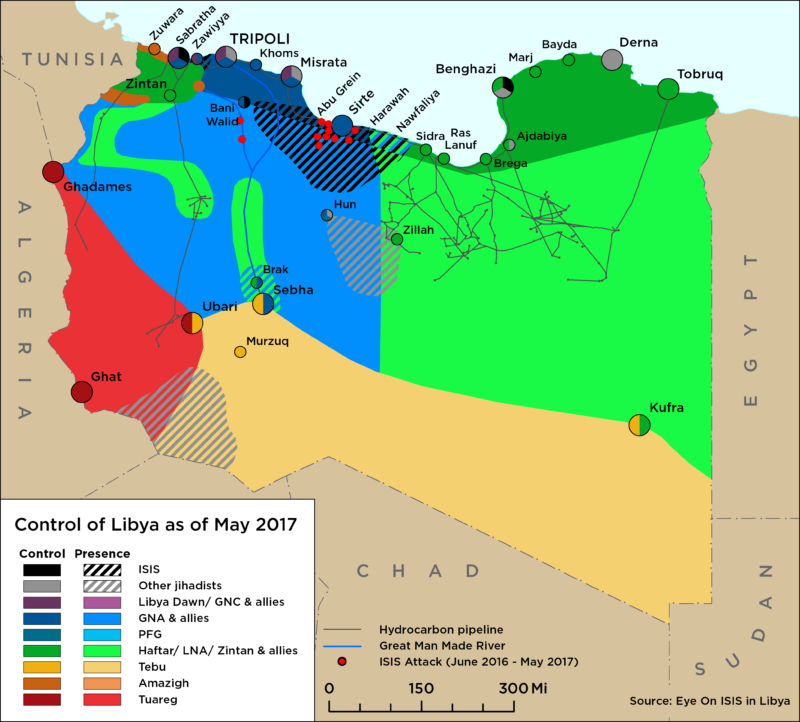 On 24 March, Marine Corps General Thomas Waldhauser, the head of U.S. Africa Command, told a press conference at the Pentagon that the United States would “maintain a force” in Libya in order to develop intelligence and work with the U.N.-backed government in Tripoli if more action was needed against Islamic State. He estimated that there were between 100 and 200 Islamic State fighters left in Libya. “We’re going to maintain a force that has the ability to develop intelligence, work with various groups as required, or be able to assist if required … to take out ISIS targets,” he said. He went on to explain that Libya no longer appears to be a “backup plan” for foreign fighters unable to join ISIS’ forces in the Levant. 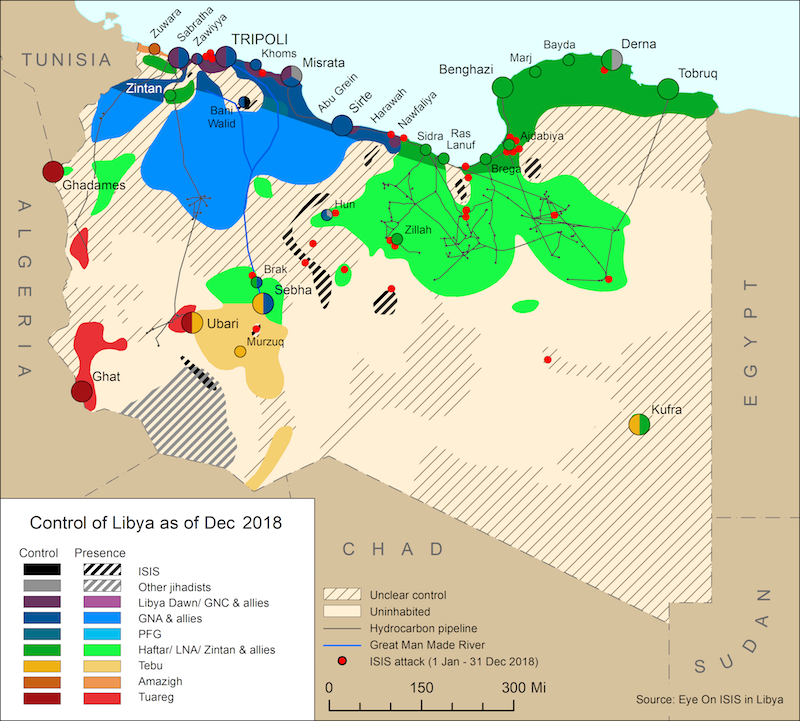 While discussing the US airstrikes which killed around 80 ISIS fighters south of Sirte in January, Waldhauser said U.S. personnel had spent several weeks coordinating face-to-face with Libyan allies to ensure there would be no collateral damage. “When you conduct precision airstrike, close-air support operations in an urban environment with the requirements to not have civilian casualties, with the requirements to be careful about infrastructure, destruction and the like, you can’t do an operation like that without somebody on the ground to interface,” the general added. During a US senate hearing earlier in the month, Waldhauser said “We must carefully choose where and with whom we work with to counter ISIS-Libya in order not to shift the balance between factions and risk sparking greater conflict in Libya.” Brig. Gen. Donald C. Bolduc, who oversees American Special Operations forces in Africa told the New York Times in an interview that “We will be able to keep pressure on that ISIS network enough to keep it decentralized so that it cannot mass and to buy time for the GNA to develop governance,” however acknowledged that none of this would happen quickly.